When someone special to us dies it’s common practice in the West to plan a funeral or memorial service. While different cultures and religions have their own customs, there is some flexibility when it comes to personalization. Funerals and memorials can provide a lot of comfort to the living, especially if the service is designed to pay tribute to the deceased individual. While it can be difficult to make these types of decisions when grieving, the service can be so much more meaningful when it’s personalized. While your church or funeral home might recommend some common hymns or songs, the choice is ultimately yours. Did your loved one have a favourite song? Or a favourite artist? Is there a song that reminds you of them or one that sums up their life? Funerals do not have to have the standard organ music if you don’t want. Do you want a live musician to play? Some families hire acoustic guitar players, pianists, or even bagpipers. Talk to the funeral home about how they can accommodate your requests. Many funeral homes can set up easels where you can display boards with family photos of the deceased. A lot of families enjoy putting these together as it gives them a chance to reminisce – which helps with the grieving process. Ask different relatives and friends to loan you some photos to add to the memories. You can also make digital slideshows that can play on a loop in the reception hall during visitations and after the funeral. In addition to photographs, you can also display items that belonged to the deceased. These items can represent the individuals hobbies and passions in life. Things such as a baseball glove, a fishing rod, a set of knitting needles, etc. can go on display to add some personal touches to the room. You can set these items near the coffin or urn, or set them around the reception room. Red roses and white lilies are quite common for funerals, but if you know your loved one had a favourite flower or a favourite colour you can order funeral arrangements that are a bit more personal. Many florists can add ribbons that say “mother,” “grandmother,” etc. to pay tribute to the person who has passed away. 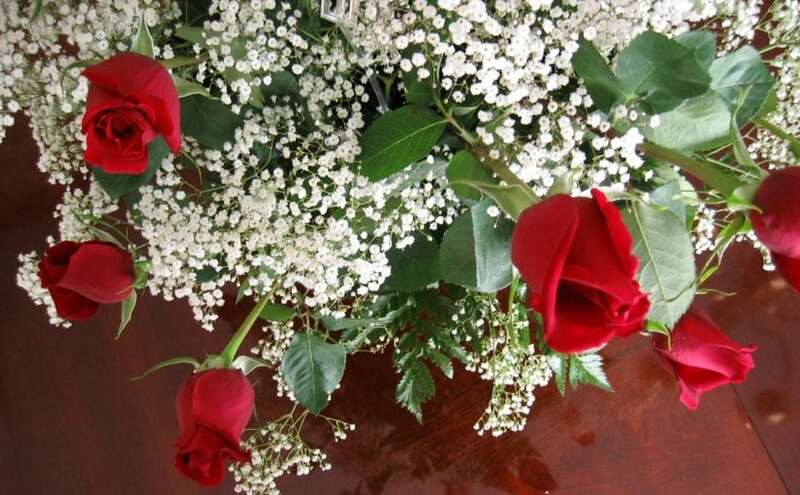 There are several reputable florists in Markham and York Region that can help you pay tribute to your special loved one. From programmes to ‘Thank You’ cards, you can have personalized stationary printed in a design that reflects the individual who’s life you are celebrating. Families can use the stationary to send notes to loved ones who sent flowers or cards. Much like the music, there are several common poems and bible verses that can be read at funerals or memorials, however; you can personalize it by choosing poems or readings that either the person loved, or that represents them. If the person was not religious, there are plenty of secular poems that can be just as meaningful. If your really want to celebrate the life of your loved one, the best way is through the sharing of personal memories. By having people share their stories you can truly feel the impact that the person had throughout their life. These stories are often what people enjoy about funerals, even though they are sad. If you want to decide all of this before the time comes, you can pre-arrange your own funeral to ensure that your loved ones follow your wishes, and won’t be burdened with these tough decisions. For more information of personalizing a funeral or memorial service, speak to one of the friendly funeral directors at Chapel Ridge Funeral Home & Cremation Centre in Markham to learn more about your options.